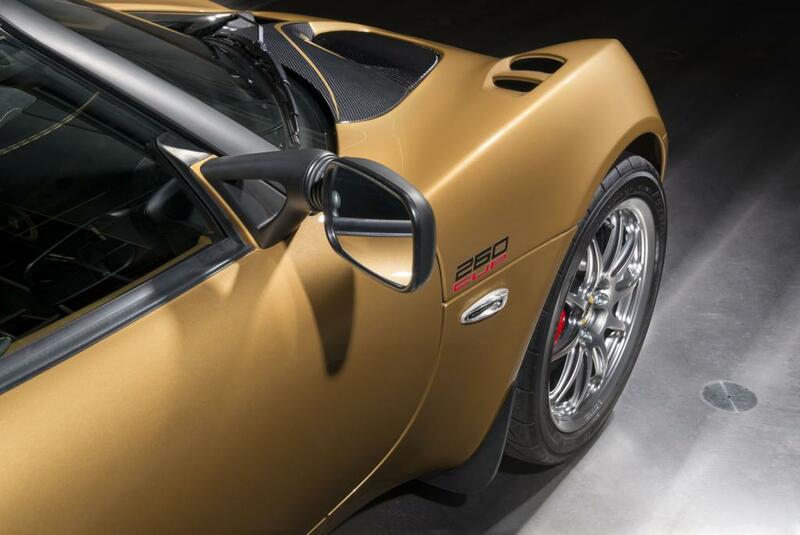 It may be the purest Lotus on the market, but you won't be able to buy it. Lotus might be looking to expand its lineup to more consumers, but the brand new Elise Cup 260 reinforces the company's love for limited-edition, nostalgia-driven track toys. Just 30 cars will be built in anticipation of the 70th anniversary of Colin Chapman's first produced car, the 1948 Lotus Mark I. 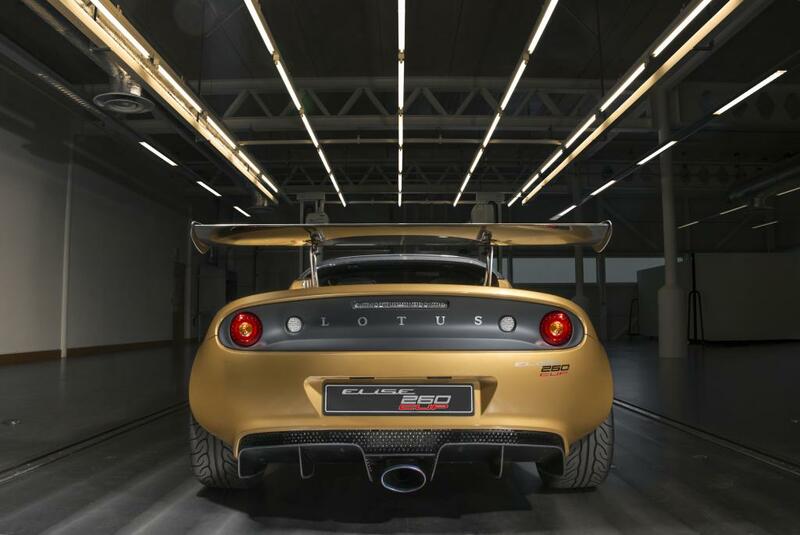 The "Ultra-Rare Edition" is based on the competition-exclusive Elise Cup 250 but adds performance and aero elements from the Exige Cup 380 and Evora GT430. 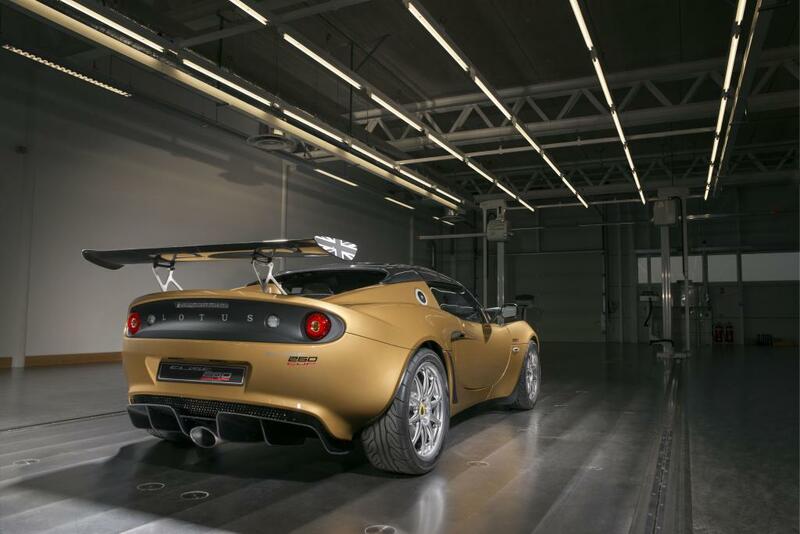 Lotus' latest hand-built car adds Champion Gold to Elise's color catalog and features an iconic laurel wreath on the left side of the car as well as a Union Jack on the massive rear wing. 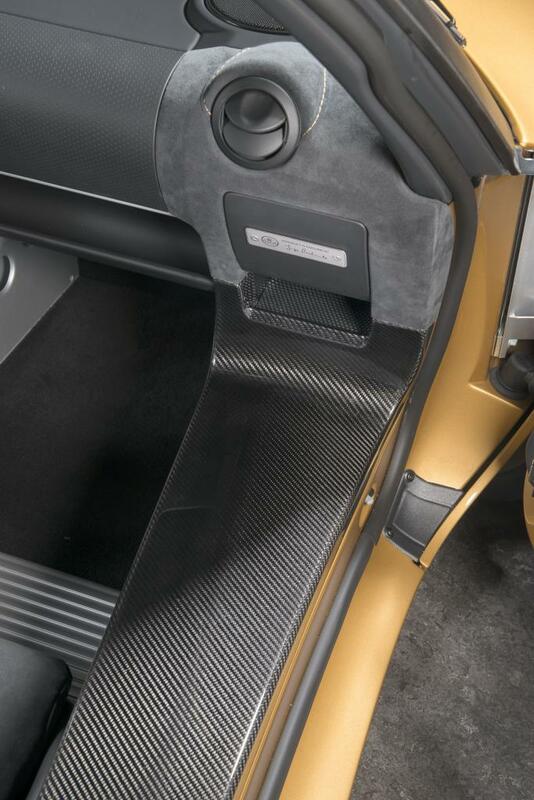 Moving to the interior you'll find a wealth of black Alcantara on the carbon fiber bucket seats, steering wheel, doors, and dashboard. The Cup 260 can be optioned with creature comforts like an infotainment system featuring BlueTooth and iPod connectivity, but it will always remind you of its racing roots with its exposed 6-speed manual transmission and carbon fiber. The Elise Cup 260 produces 250 horsepower from its supercharged Toyota 4-cylinder, shooting it to 60 mph in 3.8 seconds and up to 151 mph. Its Evora GT430-inspired aero package helps it shed 150 pounds over the Cup 250, bringing the dry weight down to 1900 pounds. It isn't the lightest Elise ever made, but it's bloody close. We have yet to see what it's made of on a legitimate race track, but the Elise Cup 260 has already lapped Lotus' Hethel test track 2.5 seconds faster than the race-only 250, so there's certainly great potential for a track monster. Without options, the Lotus Elise Cup 260 costs £59,500 (about $78,516), but will only be available for purchase in the U.K. and Europe. Us Americans will just have to wait for the redesigned Elise, set to come to our shores in 2020. A Lotus crossover would apparently be "light, aerodynamic, and handle like nothing else." The Sport is the fastest Lotus road car ever.